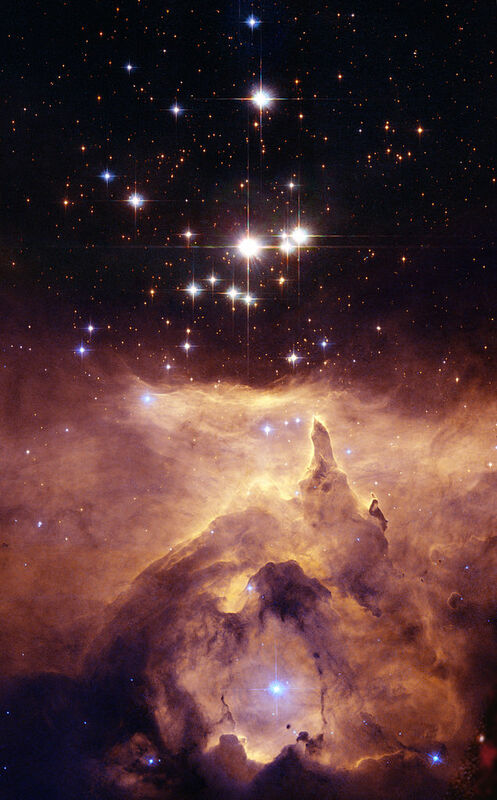 This is star cluster Pismis 24, located in the heart of the emission nebula NGC 6357. It can be found in the constellation Scorpius. I love the juxtaposition in this image: the ethereal stars, floating in the darkness above, and the turbulence of the gases below. It has been informally named the War and Peace Nebula, which makes it a fitting image for ANZAC Day, April 25th.